Hey I'm Mike Foster. I first got involved in investing to build something for myself and my future family. I realized at 25, I had nothing of value to carry forward after the first quarter of my life. I knew living paycheck to paycheck was not an option, and I wanted to see what abundant living felt like. The more knowledge I built, the more books I read and podcasts I listened to, I realized, building for my future was way easier then I judged it to be. Once I changed my mindset, visualized what I wanted, and set my goals, I painted a picture of what financial freedom looked like! To pursue my passion of traveling, to be my own boss, and to give back in a major way! Growing up, I spent countless hours staring at my bedroom ceiling, imagining myself being someplace outside my house. I thought of traveling to far off places, experiencing cultures first hand, and learning different languages. I later joined the military, because I knew it would give me the ability to travel. Now that I've journeyed both sides of the globe, I want to build a business that will pay me to adventure across the world, meet cool people, and build awesome things. One that doesn't require me to spend numerous hours trapped in a steel can. Real estate is just one tool of investing, but it is one that allows you the freedom and versatility to use it as you wish. Just as anything is in life, what you put in is what you get out. However, YOU create your own hours. YOU create your own team. YOU make the decisions that carve your success on your terms, on your time, and on your willingness to succeed. I want to have a business I can work on and make money from my phone, wherever I am in the world. Real estate gives me just that. No matter what you want to do in life, the most important thing you must have is your "Why.." My long term goal is to become a philanthropist. Kind of like a modern day Rockefeller. Why? Because one of the most rewarding feelings in my life, is knowing that I did something powerful for someone. No matter what it is, no matter what the cost, I love being someone's superhero. I want to build hospitals and schools in third world countries. I want to build an organization dedicated to helping underprivileged kids learn the importance of financial education. I want to be able to teach people how to take their paycheck to paycheck lifestyles, and turn them into healthy, wealthy, financially independent living. I want to show people that you don't have to wait until retirement to live your passions. You CAN have your cake and eat it too! All you need is proper education, a plan, and a burning desire to win! 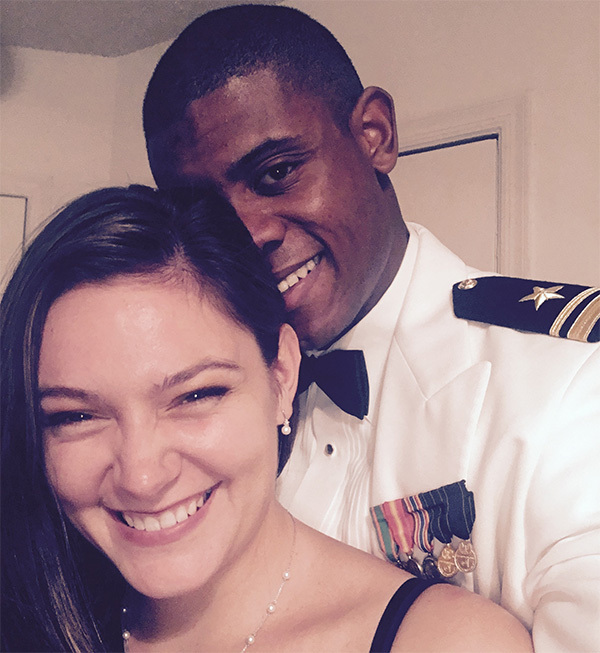 Mike Foster, United States Naval Academy graduate, is a recently separated Naval Officer and current Real Estate Investor and entrepreneur, who serves as the Education Chief and Podcast Host for Active Duty Passive Income. 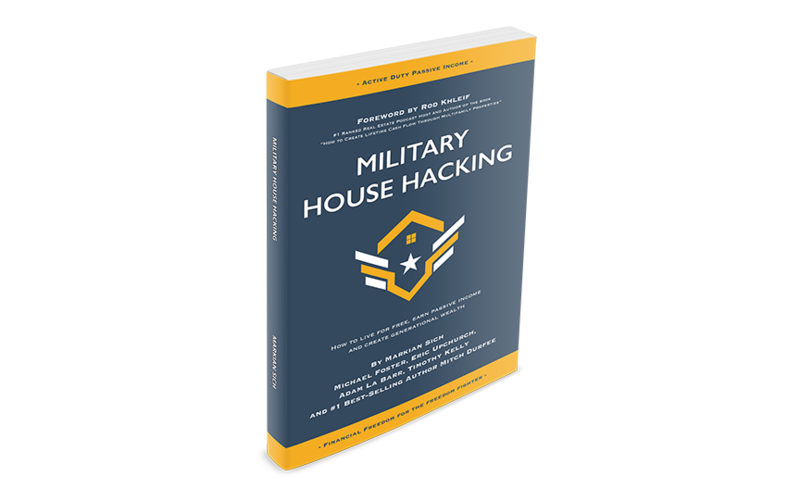 While active duty, Mike was fortunate enough to have had several remarkable mentors that taught him the importance of credit-building, creative financing techniques and wealth building strategies. He also involves his wife, Cheyenne, also in the Navy, as his partner in his real estate businesses. Mike has acquired multiple real estate investments, he owns several businesses, and has the passion and drive to mentor thousands of veterans around the world.